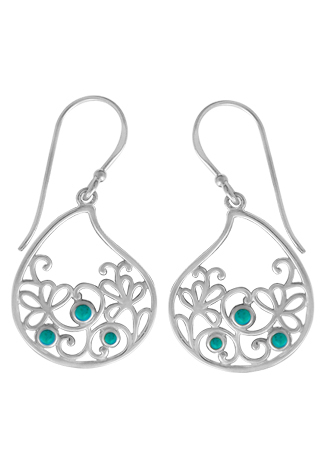 Paisley Turquoise Earrings, made of sterling silver with Turquoise gemstone details. 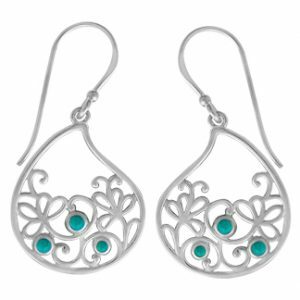 These dangly earrings are all about interesting details … little floral patterns fill up the bottom cup portion of a paisley and then genuine Turquoise gemstones are bezel set into the pattern. 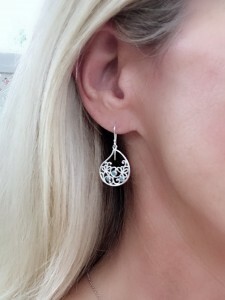 Sterling silver hooks (rubber backs will be provided for added security). 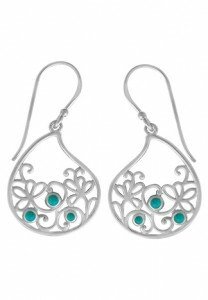 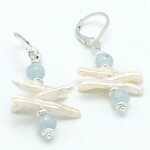 Be the first to review “Paisley Turquoise Earrings” Click here to cancel reply.